The Adidas adjustable ankle support utilises a breathable fabric that enhances comfort of wearing and comes in one universal size to suit a wide range of users. It is crafted to allow for natural movement and ensure an outstanding level of customised support, compression and comfort. This 50g (1.16oz) wrist support incorporates hook and loop closure straps that are adjustable to provide a secure fit. It has a stylish black design with red trim and the white Adidas logo and stripes. 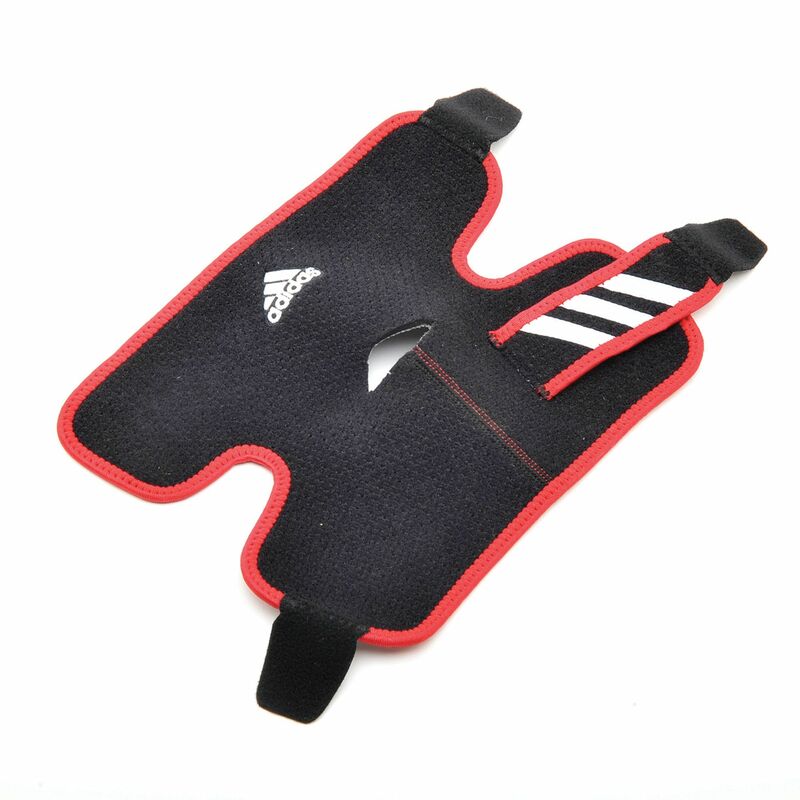 for submitting product review about Adidas Adjustable Ankle Support.